Are you loving your Instant Pot as much as I do? It really is my new favorite gadget. 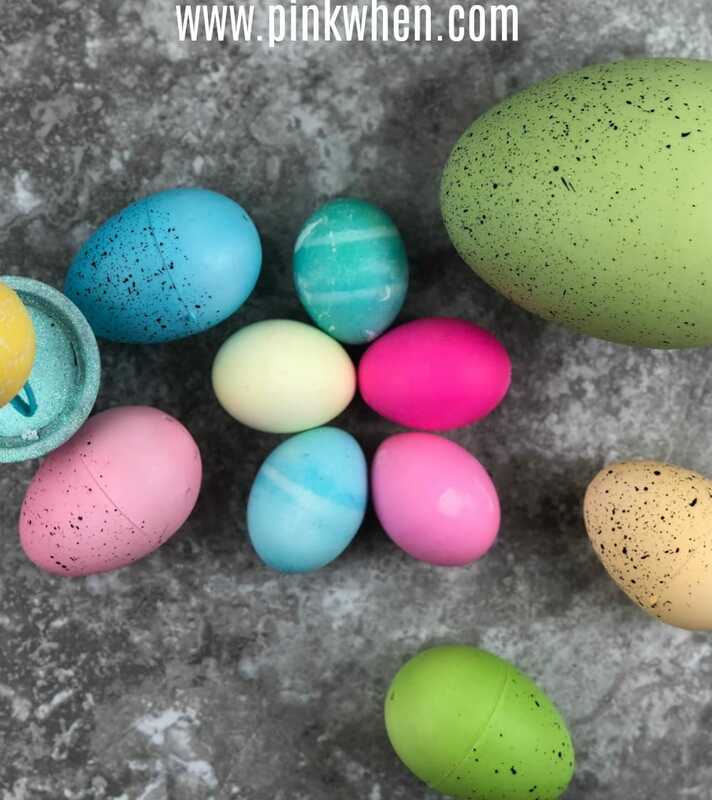 In fact, it’s made life easier this Easter, and I am going to show you how with this Easy Instant Pot Easter Eggs recipe. In just a few simple steps you will have bright, beautiful Easter Eggs! I remember when I was growing up my mom and I would always dye eggs and hide them. It was always so much fun to create different colored eggs. We would have the kitchen smelling like vinegar, and we would have lots of colors stained into our aprons. 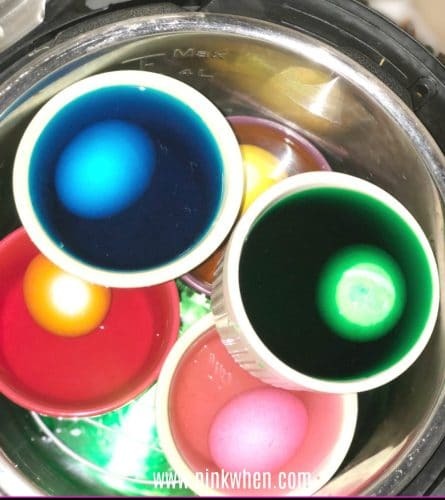 This Instant Pot Easter Eggs recipe is a little different, and it’s also fun! In just 5 minutes you can have these bright and beautiful Easter Eggs without a lot of fuss. It’s really super easy, and I can’t wait to share with you this 5-minute hack. One of the best things about the Instant Pot is how easy it is to boil the perfect egg. Well, this is done in the same way, and man is it easy. You get beautiful, brightly colored Easter Eggs and you can make them faster than ever! Who knows how many Easter Eggs we will be hiding this year with this quick trick. If your Instant Pot did not come with a trivet, you can easily order one online. Head over to Amazon or your favorite online store and pick one up. They are great to have and I use mine a ton with my Instant Pot. Do these above steps for each egg and place into the Instant Pot, stacking as you go. If you have made Easter Eggs as much as I have, you know how important it is to handle them carefully and allow them to fully dry before handling them a lot. If you handle them too much before they dry you will end up with some colorfully stained fingertips. Ha! I actually like to grab my eggs with a Tablespoon and place them on a cookie drying rack with a napkin underneath. Once they are dry I will place them back into the egg carton and into the fridge until they are ready to be used. What do you like the most about your Instant Pot? I think making Easter Eggs is one of the coolest things I have done yet. But if you are looking for some yummy Instant Pot recipes, I have a few you won’t want to miss!